I’m going to tell you a story, parts of which I’ve kept in my heart for nearly fifty years, and other parts I’ve been silent about for seventeen years, and have not written about until today, December 31, 2017. This story began in January 1968, following a full-out assault by North Vietnamese Army Regulars and Viet Cong rebels in Vietnam. It was called the Tet Offensive. Its military objectives nearly succeeded. NVA regulars seized the city of Hue and overran half of Da Nang. Viet Cong rebels took the fight into the streets of downtown Saigon. They began siege of Khe Sanh, which lasted over three months. Had the rebels and the north succeeded and the war ended, I would not have a story to tell. Instead, American air power took back Da Nang. American infantry fighting, sometimes hand-to-hand, drove the NVA from Hue, South Vietnamese troops saved Saigon, and we simply abandoned Khe Sanh. However, an unexpected, psychological objective of the Tet offensive did succeed. Following Tet, American public opinion, which had been lulled into thinking we were winning, shifted dramatically and quickly to a majority who thought the war was a mistake and unwinnable. The Tet offensive was a wake-up call to the American military. Face had to be saved. In mid-February, 1968, the Pentagon responded to General Westmoreland’s request and sent out enough draft notices to conscript 200,000 more troops. In January 1968 I received an MFA in English/Creative Writing from San Francisco State University. I no longer had a student deferment. When I entered SF State in 1965, I joined Students for a Democratic Society (SDS). SDS was the most intellectual and non-violent student activist movement against the War in Vietnam. It disbanded in 1969 following the inauguration of Nixon, as non-violent protests were co-opted by mainstream America, while SDS leaders faced arrest and trial or went underground. Although it was first founded by the University of Michigan students, it had its roots in the free speech movement in Berkeley. A week after I joined, the SDS student offices were raided and all records confiscated. A week after that while grocery shopping, I sensed I was being followed, and then, as I selected a head of lettuce, I heard several clicks. I looked up to my right in time to notice a woman with a camera turn away from me. Between 1965 and 1968, I participated in several anti-war rallies in San Francisco and Berkeley. In ’67 I was involved in a mass arrest, charged with disturbing the peace and failing to disburse. I was booked, photographed, fingerprinted, fined one hundred dollars and cut loose along with several hundred others. So in late March 1968, I had to choose. I was twenty-five years old and I was married, but neither were grounds for deferment. I toyed with being drafted and gamble that my age and education would ‘up my chances’ of getting a ‘cushy’ job behind the lines, or I could be drafted and apply to go to the Army Language school at Fort Ord. Another option would be to apply to become a corpsmen. I could fulfill my obligation as a corpsman, but I then learned corpsmen go through basic training and learn to shoot to kill before they get EMT training. They are assigned to a combat infantry unit and invariably end up carrying and using a weapon. So, none of those scenarios was a good bet. With my activist anti-war record, I reasoned I would probably be sent to the front lines, period. Canada was not an option for me. Canada did not welcome Americans with no money, no destination, no work permit, or no Canadian to vouch for them. Those who bailed for Canada had to have money in their pockets and in their bank accounts. So, I applied for full conscientious objector status, even though I had no illusion it would be granted. All the anti-war activists I knew who applied for CO status had been denied. Soon, though, my bafflement turned to pissed off. I didn’t like that it was easy. Something didn’t make sense. I wanted to fight for that CO status. I wanted the interview. I wanted to make a political statement about the Vietnam War in particular. I wanted to be a goddamn ideological hero. In a way, I wanted my draft board to turn me down, because I knew my essay describing my religious, moral objection was a lie. 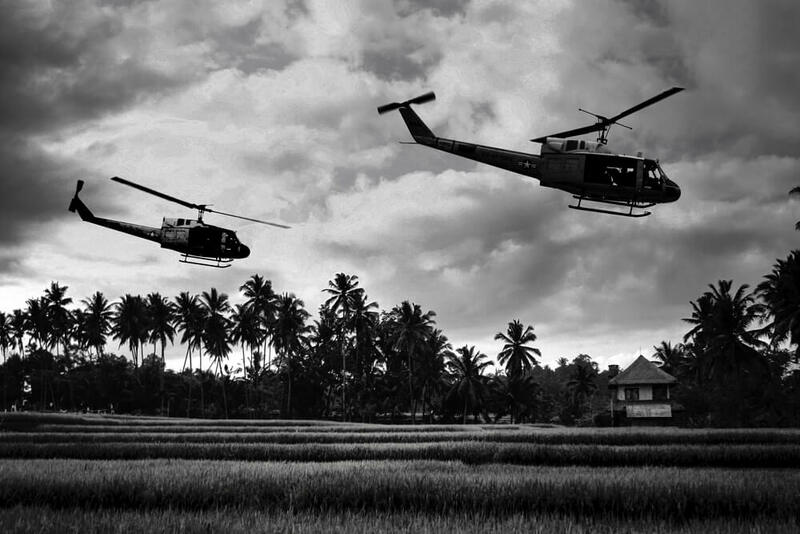 My objection wasn’t to all wars – just Vietnam. In my heart I knew I didn’t deserve CO status, and I didn’t want to live with that lie. Then when I started my alternate service, I discovered CO’s are literally in the military and subject to military law, even though most were doing alternate civilian service. I realized, “I can no longer engage in any anti-war political activity, or my status will be rescinded.” One felony misstep, smoking dope for instance, and I would end up in the brink. That was emasculating. I spent my two years alternative service working without pay for the Ecumenical Institute in San Francisco. Eight other pro bono CO’s were attached to the Institute with me. We met weekly in a support group setting. At one meeting a year in, I mentioned that I felt “survivor’s guilt.” A boyhood friend, who lived three doors from me in my hometown, was killed in April 1969. John was my age. We played poker and ping-pong in the basement of his house. His mother made brownies for us. I stood on the same street corner, got on the same high school bus, ran track with him for four years. I saw nods of understanding from the other CO’s. We all had friends – school, college, street – who went and didn’t come back. However, further discussion revealed I was the only one who sometimes questioned the decision I made to become a CO.
Then there was the feeling of shame. It set in after the war was over and after the troops came home and after my two years were up. I never was one who yelled at, spit on, or asked Vets “how many babies did you kill?” I had a strong sense of what the troops went through. I knew there was a total disconnect between the conscripts who went there and the men in the Pentagon, the politicians, and the corporate sponsors of war who sent them there. Yeah, I knew something of what they went through, but when they came home I didn’t greet them with open arms and I didn’t defend them. I didn’t stand up and say, “that’s wrong” and ”shame on you” to the people who spit at them or the older Vets who taunted them and called them losers. I was silent. I looked away. Today I know that most Vietnam Veterans’ greatest hurt is from the way they were treated when they came home. Just prior to the conclusion of my alternative service, I applied to over two hundred English Departments in junior and four-year colleges and universities for a teaching position. In late February after not receiving replies from ninety percent of the schools to which I applied, I learned “why.” A department head at Northern Illinois University informed me that I was blacklisted and had an FBI file, which essentially meant, the years following would prove, that no public school of any kind would hire me, ever. Thus, in the 1970s and into the 80s I worked for cash in the underground economy. It wasn’t until 1984 that my experiences earned me a decent union construction job, the pension which helps support me today. Fast forward to Friday, March 10, 2000, to the bedside of my father, a retired Protestant minister and state certified psychologist. My father was dying from cancer. I was sitting by his bed listening to him reminisce when out of the blue he told me that in 1968 right after my application for CO status arrived at my draft board my father got a phone call from the headman Colonel. The “Colonel,” that’s the title my father gave him, offered my Dad a quid pro quo. He would grant me CO status if my father promised not to tell anyone the Colonel beat his wife. If an abused woman hadn’t gone to my father for counseling, I would never have gotten alternate service. Because she sought help, an agreement was made that altered my life’s course. My father, a socialist and pacifist all his life, was a conscientious objector during WWII. Although he was thirty years old with a wife and two children in 1939, he was recruited to enlist as a chaplain primarily because he spoke fluent German. The army needed translators. “You won’t carry a weapon and you will be saving lives,” they said. To preserve his integrity, he chose to be a CO. Perhaps he suffered for that. Perhaps the word “traitor” was flung at him, just as “coward” was flung at me. But to preserve that integrity, did he have to choose for me, too? What else was there? My father was dying. I was not about to run down a list of grievances, and anyhow I am not looking to find blame in this stage of my story – I am looking at its legacy. No one “eight to eighty” living in the US during the years 1963 to 1975 avoided the upheaval, change, challenges, and choices of those times. The legacy of that decade of dishonor that began with the assassination of Kennedy and ended with the resignation in disgrace of Nixon and then the fall of Saigon, which 58,195 American servicemen had died trying to prevent, was as searing a decade to my generation as the Depression decade had been to our parents. One highly charged word that was directed at the men who either ducked the draft or became CO’s was the accusation in the word “coward.” It was very real and so much worse than “traitor.” Every time I demonstrated against the war, I would hear that taunt spit at me from patriots on the sidelines. War defenders used it freely in op-eds and political speeches. The brand “coward!” was as wrong and mean-spirited as “baby killer,” and yet in my case I let “coward” get to me; I let it shame me. Why? Perhaps because once I had the CO status, even though I had doubts and knew my objection was only to the Vietnam War, I didn’t in the end jeopardize my status. I did my two years and moved on. Silence and judgment grow shame. Because of shame we think we are someone we are not. Because I felt shame, I stayed silent for forty years about having been a CO. I kept that fact a secret from everyone except my closest friends, and any time I met a Vet and the subject came up I’d say I was 4F, or my lottery number was too high, or that I was married and had student deferments. I feared being judged. I feared being judged a coward. Then in early March 2000 I learned that even my shame was misdirected. In waiting to tell me forty years after the fact of the truth of my CO status, I grant my father probably thought he was protecting my integrity, and I thank him for that, even though I think it was his integrity he was safeguarding. There were times during my forty years of ignorant, shaming silence when I hoped some invisible force was guiding me, or as James Hillman put it, that “destiny was reaching back from the future” and directing me onto a path. Then there were times when I read from my dreams or the I Ching or Tarot cards or astrological clues as to what course to pursue. But most of the time I just stumbled along whatever path showed up kvetching and griping and blaming my parents, unjust society, bad luck, or all three together. Finally I asked myself, “In which bad luck, unjust society, blaming-my-parents scenario was I better off? Which one made my life worthwhile? None of them led to the recognition that it is here, now, in this place that I must live my life – not in the dictates of my past and not in a future decreed by fatalistic beliefs, guided hopes, and/or dreams in which destiny calls. The nucleus in my story is my answer. When I was young I had a recurring dream: In my dream I am hanging by my right arm from a thick rope dangling down from a cloud and I cannot see what the rope is attached to. The rope breaks and I just grab the secure end. The rope breaks again and again. Every time I just grab the good end. This goes on ten or more times until I wake up in a cold sweat full of confusion and fear. During forty years of my silence the same hanging-on-for-dear-life dream returned several times, the last one in the week after my father died. Seven years after my father’s death, I went back to school and got a masters degree in spiritual psychology. I processed out the guilt and shame. I forgave myself for judging myself as having been a coward. The most powerful lesson I learned from my studies was about the nature of projection. We’ve all heard that negative traits we find annoying in others are negative traits we are projecting from within. Well, consider this. That which we see and admire in another person is also a trait we see and have in ourselves. The person I admire the most is the anonymous man who in 1989 in China’s Tienanmen Square had the courage to step out, stand in front of, and alone stop a moving tank. Imagine the healing my heart felt hearing those words. They readily accepted that apology. Two nights later back in my own bed I dreamt the rope dream again. There I was hanging by the rope, but this time, before it broke I let go. I didn’t think; I just let go. Then I woke up. I wasn’t confused or afraid, and I wasn’t sweating. Glenn Schiffman is a co-founder of Western Gates Roots and Wings Foundation, a non-profit organization which counsels youth and uninitiated adult men in collaboration with Native Elders and counselors at Home Boys Industries. He earned a BA in History from Knox College, an MFA from San Francisco State, and a Masters in Spiritual Counseling from the University of Santa Monica. Read more articles by Glenn Schiffman. All original work attributed to Glenn Schiffman © 2018 Glenn Schiffman.